West Des Moines Dentist: What Does a Dental Hygienist Do? When you walk into your dentist’s office, you might assume that everyone there is a dentist. This isn’t the case. On a normal visit, you may see both a dentist and a dental hygienist. Your West Des Moines dentist, Dr. Jessica Johnson, explains the difference. Most patients know their dental hygienist as the person who cleans their teeth. Dental hygienists do more than clean plaque off of your teeth, though. Dental hygienists are formally trained and educated and are required to complete at least two years of college (most commonly earning an associate degree) from a dental hygienist school that has received accreditation from the American Dental Association (ADA). They must also become licensed by the state in which they practice. The primary responsibility of a dental hygienist is to perform comprehensive, comfortable dental cleanings on patients. In the absence of gum disease, a patient can undergo a regular dental cleaning, which takes around an hour. About 80% of Americans have gum disease, and these patients require a deep cleaning, which involves scaling and root planing. The hygienist can determine whether gum disease effects you by measuring your gum pocket depth — a measurement that reveals the depth of space between teeth and gums. Deeper pockets indicate that bacteria have eroded the connective tissues, which signals gum disease. Varying levels of gum disease include gingivitis, the first phase in which gums may seem normal. As the condition progresses into periodontitis, gums become swollen, red, tender, and they may bleed during teeth brushing. Over time, bacteria move down the roots of teeth, destroying gum and connective tissue, as well as bone. Gum disease is the number-one cause for tooth loss in our nation, and hygienists can save you from becoming part of this statistic! In addition to the serious and complex job of diagnosing and treating gum disease, a dental hygienist answers dental hygiene questions and recommends homecare products, performs examinations, maintains dental equipment, performs upkeep on removable dental appliances, and does basic work on amalgam restorations, crowns, and bridges. In some states, dental hygienists even perform minor surgical duties, like administering anesthesia, removing sutures, and filling cavities. The difference between a dental hygienist and dentist is a lot like the difference between a nurse and a doctor. Though dental hygienists are well-educated from their formal training, they do not make diagnoses of dental conditions other than gum disease, nor do they perform surgery, like a root canal. A dental hygienist can perform all of his or her duties without supervision, and the trend is for hygienists to take over more support duties (like administering anesthesia) from dentists so that dentists have more time to spend with multiple patients. Come visit our 50266 dental office to have a dental hygienist check up on your teeth. To make an appointment, call (515) 223-9764. 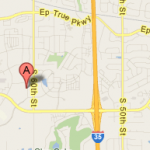 We serve patients from West Des Moines, Waukee, Clive, and nearby Des Moines metro communities. This entry was posted	on Friday, January 4th, 2013 at 9:51 pm	and is filed under Blog, Patient Education. You can follow any responses to this entry through the RSS 2.0 feed. Responses are currently closed, but you can trackback from your own site.